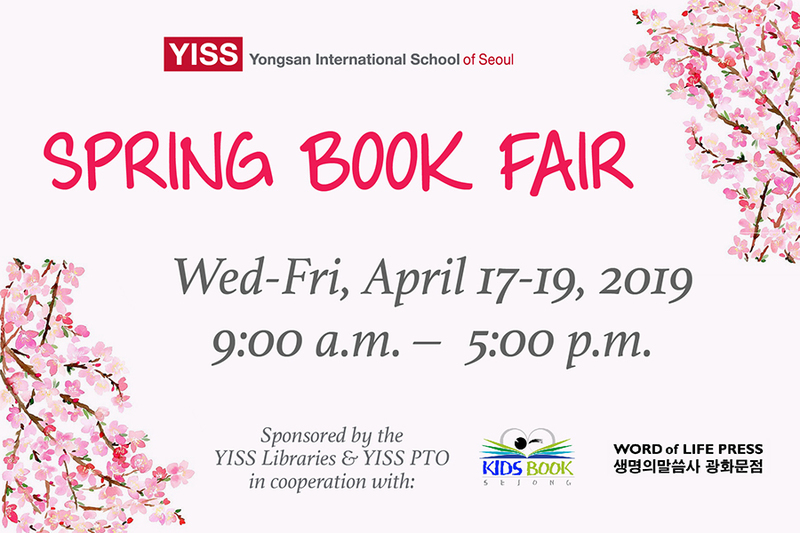 Please come join us for the YISS Spring Book Fair hosted by the PTO and YISS Library in collaboration with Kidsbook Sejong and Word of Life. The Book Fair offers those in the YISS community an opportunity to buy English books at great prices. Paperbacks are about ₩5,000 and hardcover books generally start around ₩10,000. As always, 10% of sales goes to support academic enrichment opportunities. Feel free to invite your family and friends. For more information visit www.yisspto.org or contact our PTO Book Fair Committee at yisspto.bookfair@gmail.com.